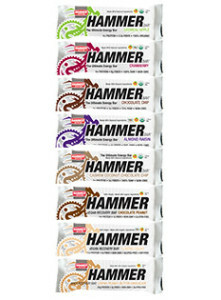 Hammer Nutrition has become synonymous with fuel, energy and recovery products for endurance athletes from all sports and genres. Having started in 1987 it has always been their mission to provide athletes with healthy, safe, natural and legal products to help them achieve their goals. Whether it’s on a bike, on foot or in the water, Hammer is there to help. Gels: I’ve tried a bunch of gels at this point. Some are uber sweet, others are chalky and super thick and others taste completely synthetic. It’s extremely difficult to find the right gel, a decent gel even. 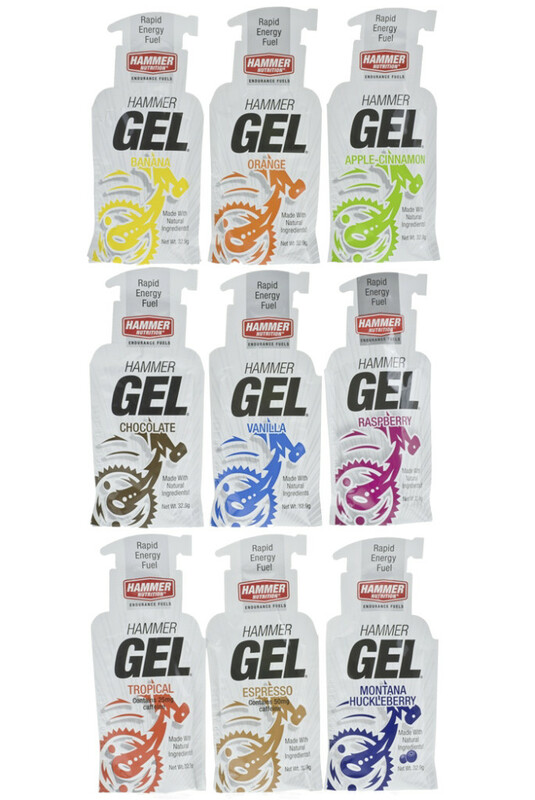 That said, I found Hammer’s gels to be smooth, not too sweet and tasted as natural as a gel can possibly taste. Mind you, gels are not made to be snacks or to replace foods. Gels are meant to give you vital nutrients during endurance exercise. Whether that’s on a run, biking, hiking or in our case, obstacle racing – they were made to help sustain energy. We’re not talking something jammed with sugar that’s just going to cause you to crash later, no, we are talking complex carbs, 4 essential amino acids and all-natural ingredients. The gels are vegan friendly, contain no MSG and no artificial flavors or sweeteners. So far these are some of the best gels I have had, here’s a run down on the flavors. Banana – This one was amazing. While it did taste like it could have been artificially flavored, because the banana flavor was so clean and pronounced, Hammer swears they are not and are made only with real fruit. I believe them, cause this stuff was good and was probably my favorite. Apple Cinnamon – Lord almighty, this was like my wife’s Apple Pie in gel form. It helped during a run when I was wearing down, not only for the energy but in hopes that magically there was a home-made applie pie waiting for me at home. Alas, no pie but the gel was seriously good! Vanilla – What can you really say about Vanilla? I mean, it’s good and all but it’s vanilla. I mixed this one with one of the recoverite packages to get a few more carbs in it, and while the taste was slightly diluted, I liked that it was a blank flavor canvas to work with. Chocolate – The only gel that had a slightly chalky-ness to it, but we will blame that one the fact it’s chocolate. And saying that, it’s chocolate, should be enough for any of you. It’s flippin’ chocolate!! Montana Huckleberry – I had to dig deep to figure out what these things were, I’d never even heard of a huckleberry before. These particular one’s are Montana specific, obviously, and cannot be grown in a commercial environment as they are particular to the mountainous regions of Montana. But enough about the history, how did it taste? Surprisingly tart, but sweet at the same time. Reminded me of a blueberry, but at times a cranberry. Either way, it was delicious!! Raspberry – Not a huge fan of anything raspberry flavored, except the real thing. It’s just a hard flavor to capture. There’s got to be a certain level of tart and sweet, you know? Well, this gel was close and was tasty, but alas didn’t quite capture the flavor, although they are made with all natural ingredients. Orange – I was hoping for something like an orange cream-sicle type of flavor and I should have known better. It was quite acidic, true to a citrus fruit and nothing like a cream-sicle. Yeah, I know that is an artificial flavor, but my taste buds can hope right? That said, I eat and orange a day so I appreciated the realistic flavor in this gel. Peanut Butter – Whooo boy, this hit the mark. I swear I was squeezing out pure peanut butter and not a gel. The taste was there, it was super creamy and because it’s a gel the was no grit. Ok, so I guess with this flavor a little grit would have been acceptable, but it was not and for good reason, it wasn’t supposed to. All in all these things were great. I used some on runs and various training sessions. They helped to perk me up when I needed it and sustained me for a good amount of time energy wise. They are super convenient and can be tucked in a pack, a pocket or wherever. Recoverite: This product, obviously, is a recovery drink mix. Each serving has 10g of protein, which seems low but being isolated whey protein it is easily digestible and hits the sore spots sooner. With a 3:1 ratio of complex carbs and amino acids the claim is that muscle soreness after training will be lessened. They hike up the amount of glutamine as well which is believed to be one of the most important amino acid in recovery. There were a few packets of this stuff so by the third or fourth day I did notice less time to heal my soreness. Instead of taking a year for my out of shape self to recover it only took 6 months… I jest, I jest. I did notice the difference though, placebo affect or not, I found it did work and will use the product again. There were a few different flavors such as vanilla, strawberry, chocolate and citrus. My favorite had to be the chocolate as it had the best flavor. The others weren’t bad, I just preferred this the most. Although, the strawberry was spot on too! Bars: Again, they sent a good variety to try out. I preferred some more than other, and will get into that, but as far as their selling points here a little info from their site, which to me are some of the most important bits. I’m not here to preach food cleanliness and all, my words are mine alone based on the way I choose to eat. That said, the list above is key to how I eat. I understand that yes, it comes from a package, but as far as packaged foods go you can’t get any better. Hands down my favorite was the Almond Raisin. The Cashew Coconut gave it quite a run for the money though and was amazing in it’s own right. I didn’t have the opportunity to try every single flavor, but did try many of them. All the rest were great as well, and are not standard packed tight bars. These are somewhat chewy and easy to swallow. I find that some protein and energy bars are so thick that you need to sip something to help get them down. These taste and feel like they were cooked in the kitchen. In all honesty, not all of them had a pleasant flavor. I found that the Almond Cacao Vegan bar was very gross. Not sure if these things have a shelf life, I am pretty sure it wasn’t bad though, just not something I would want to eat again. If you are looking for good clean energy, or just looking for a snack, I highly recommend you try these out. 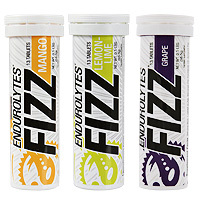 Endurolytes Fizz: Lastly, we have something I’d never tried, nor thought of. It’s kind of a genius idea actually. Fizz is a compressed tablet of electrolytes that you drop in water and it dissolves into a tasty drink. It’s not artificially sweetened and does not contain any refined sugars. I found I cramped less when I put these in my hydration pack on runs. Muscle fatigue also seemed to be lessened a good amount on top of the fatigue. 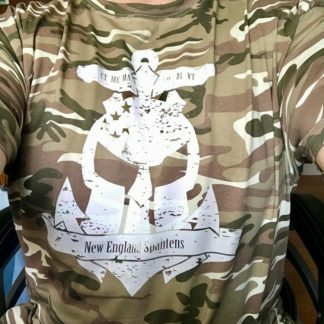 These are as straight up and practical as you can get. I not only used them during training and or runs, but I used a few on long work shifts. Usually at the end of the day I feel really wiped out physically. Having popped these in water I felt less burnt out when I got home. Obviously at work I couldn’t rock my hydration pack, so I broke them in half to drop in a water bottle. For shame, I use water bottles, but the tablets are too big and had to be broken to get them in the bottle regardless. I absolutely loved the grapefruit flavor the most. With these I did try them all, and have no complaints about any of them. The flavor was not over powering, if anything they could use a bit more. Maybe I was popping them into too much water? Not sure, but I liked em anyway and found they proved their worth. So what to do next? 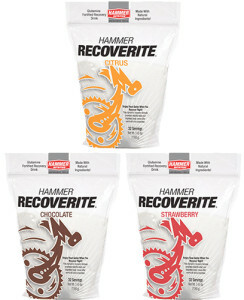 If you click http://www.hammernutrition.com/ and click the “begin shopping” button you will get 15% off your order. 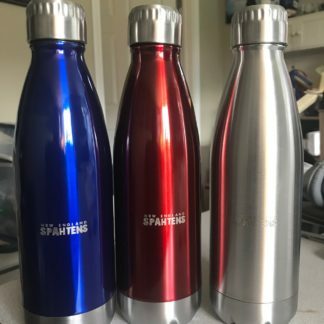 They have some great programs where if you find you like the product and you do lots of races, training, etc than you can set up auto-shipments and receive your order each month or whatever time frame you choose. I’m down with it and will be getting on it once race season really picks up. 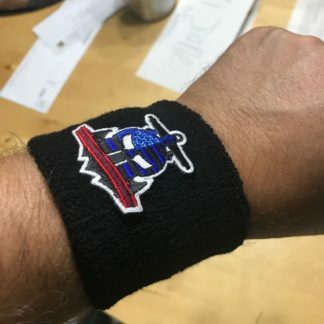 Next post: Gladiators for hire!